Concord is a typeface enjoys simplicity as its core element. Created by Aakash Soneri, this font is derived from ‘Accord Alternate’, a popular typeface family. The designers gave this family, a new, unique geometric touch to it. 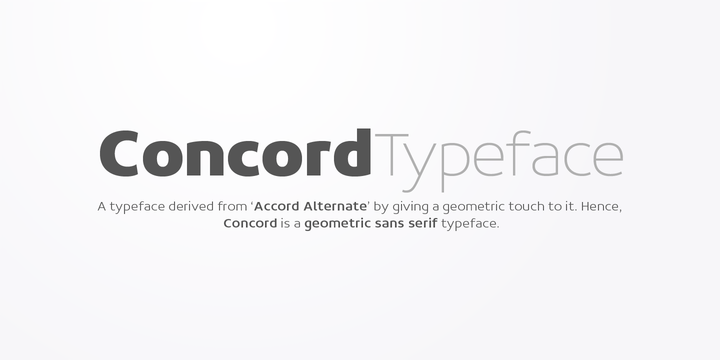 This is also the reason Concord is often referred to as geometric sans serif. Large counters of Concord enhance readability. This font comes 7 different weights for emphasis.